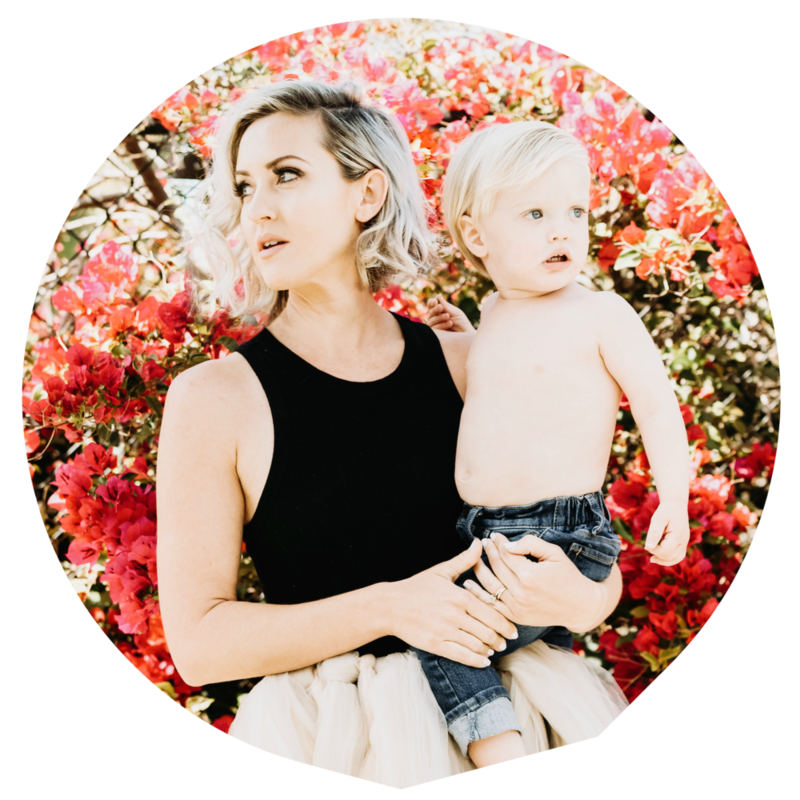 I am so excited for this month's modern mama MaryAnne Martin! She is such a rad chick, beautiful, and so freaking hilarious. I love her bluntness and what an amazing mama she is. I am extra lucky to call her a friend so let's get right into it!! Here she is. TMM:Introduce yourself: What’s your name, the name of your kid(s), and where are you from, and what is your business? MaryAnne: Becoming a mom has changed me in a few ways. I used to always be on time, now I’m basically 10 mins late to everything...ha. Mostly, I have learned to be more confident in my decisions, trust my instincts and try and be the best version of myself possible. MaryAnne: I was introduced to a book called Miracle Morning by Hal Elrod a few years ago, highly recommend. It normally requires an hour. (Lets be real, I’m not waking up an hour early.) I have shrunk the same practice into 20 mins. So for 20 mins I spend about 4 mins on each category. Silence (while drinking coffee) , Affirmations, Visualization, Journal, Exercise. (stretching, 20 jumping jacks ect) It may sound a tad aggressive for 6 am, but its quick and really gets me on track for my day. ASLO, date nights with my husband, and mini mom pamper days help me stay connect to myself as well. MaryAnne: Kettle Martini, dirty ..with 3 olives? BUT...if that drink isn’t socially acceptable for Sunday at noon, then I’d choose red. MaryAnne: I’m grateful for my health, and the health of my family. I’ve never felt a love like the love I have for Knox, I’m so grateful I’m able to experience that feeling. It’s all consuming. Sometimes the days are so long,...I’m just over here like.. KID, GO TO BED. But then he’s asleep 10 mins and I’m scrolling through the zillion videos I took of him that day, missing him. TMM: What’s one trick or tip someone’s given you that you could share with the TMM community? MaryAnne: Many of us (me included at times) are waiting for others to validate us. I think as moms we need to stop competing, and comparing, and start connecting. MaryAnne: I believe my style is called ...athleisure, throw in some dry shampoo, apple watch and done. MaryAnne: Holy heck, it seemed like a freaking decade, but it was actually 52 hours. Knox decided to come two weeks late, I wasn’t dilating very fast (obviously), and my back labor was so intense.I cringe just typing this. He also decided at the last hours to start moving up my belly and to flip posterior, so after 52 hours of all that…we had to have a c-section. It was honestly the most humbling experience of my life. Like a lot of things pre baby I had such a clear vision of how EVERYTHING was going to go...well it was basically 100% opposite of that...but it was magical. MaryAnne: Ugh, skip school. In my defense, my parents lived one block from the high school, and we had a gate that backed up to the parking lot so it was just TOO EASY. MaryAnne: I’m super cranky if I don’t get sleep, runs in our family apparently. I make sure to go to bed at a reasonable time, it makes a world of difference for me to get my 8+ hours. Also exercising, eating healthy-ish, mom’s nights out, date nights with my husband. Some occasional online shopping all make me feel pretty good. TMM: What’s in your purse? It’s actually a diaper bag/backpack purse so it holds a lot and is super obnoxious, lets see… wallet, headphones, 4 different colored baby socks, a pair of pre walkers, 4 diapers, wipes, happy baby superfood puffs, sippy cup, 3 lipsticks, sunscreen, change of clothes for Knox, hand sanitizer spray, usb drive (not too sure) , sunglasses, bobby pins, dog poop bags, a few pens, a toy police car, a mini tambourine and a few yogurt melts stuck to the bottom. Boom! MaryAnne: Being completely honest, I’m obsessed with my lash extensions. Most days I don’t wear makeup, and throw my hair in a top knot, and I still feel like my face looks pretty decent. And I don’t even have to put on mascara. WIN WIN WIN. MaryAnne: If you are doing your best, than you are doing AMAZING!. Asking for help is also OK! Even mamas need a break.